FAIR BLUFF, N.C. (WNCN/WECT) - A North Carolina State Highway Patrol trooper is dead following a shooting Wednesday morning. According to Highway Patrol Sgt. Michael Baker, the trooper was shot around 12:15 a.m. while conducting a traffic stop on U.S. 70 near Sellers Town Road in Columbus County. The trooper died from his injuries on the way to a local hospital, Baker said. Larry Guyton with the Bladen County Sheriff's Office said the suspect was then surrounded in the woods near Fair Bluff following a manhunt before he was taken into custody around 4 a.m.
A CBS 17 crew is headed to Columbus County. Zebulon and Chapel Hill police sent tweets expressing their condolences after learning of the news. Flags across the state were lowered to half-staff Thursday morning in memory of Trooper Kevin Conner, the 65th State Highway Patrol officer to be killed in the line of duty. Conner was shot and killed while conducting a traffic stop early Wednesday in Columbus County near the South Carolina line, authorities said. A visitation will be held from 1 to 4 p.m. Sunday at South Columbus High School, at 40 Stallion Drive in Tabor City, with a funeral service to follow. 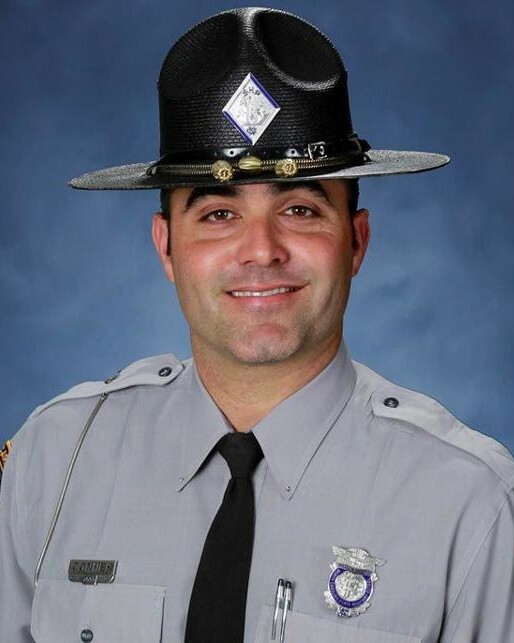 The North Carolina Troopers Association has set up a fund to help Conner’s widow with funeral costs and family needs. Donations can be made by credit card online at www.nctroopers.org, or checks can be mailed to P.O. Box 840, Summerfield, NC 27358. The shooting was captured on the dashboard camera in his patrol car and on a security camera at a nearby convenience store, Columbus County District Attorney Jon David said. The gunman, later identified as Raheem Cole Dashanell Davis, fled the scene. A Good Samaritan happened upon a wounded Conner about an hour later and called 911, David said. An 11-year veteran of the Highway Patrol assigned to Columbus County and the father of two children, Conner was pronounced dead at a nearby hospital. Other troopers watched the shooting on Conner's dashcam to identify the suspect vehicle, and they found it in Fair Bluff – about 20 miles away – a short time later, David said. When the pickup stalled on some railroad tracks, Davis jumped out and ran, the prosecutor said, and officers apprehended him about 4 a.m. in some woods near the tracks. Investigators haven't found the gun used in the shooting. Davis, 20, of Chadbourn, was charged with first-degree murder and was being held without bond in the Columbus County jail. David said during a Wednesday afternoon court hearing that he hasn't decided whether to seek the death penalty in the case. "This was cold-blooded, first-degree murder," David said. Davis, who authorities said was driving a stolen truck when Conner pulled him over, was on probation for a January 2017 conviction for firing a gun at a car in Chadbourn in June 2015, according to state Department of Public Safety records. Authorities used Conner's handcuffs on Davis during the court hearing. In 2011, Conner was hailed a hero when he extinguished a car fire while saving a driver involved in a crash in Whiteville. Highway Patrol troopers and other law enforcement officers accompanied Conner's body in a procession along U.S. 701 Wednesday evening. Flags at state facilities will remain at half-staff until Sunday evening. 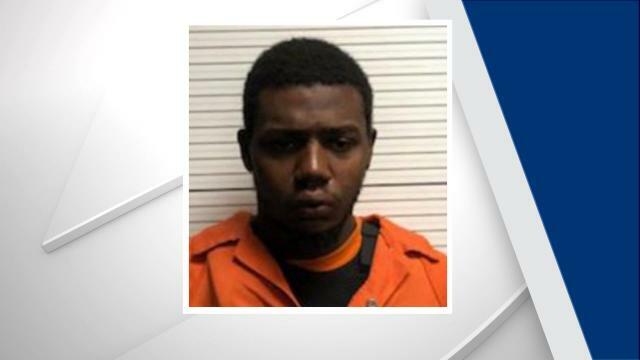 RALEIGH, N.C. (WNCN) - A second suspect has been arrested in connection with the shooting death of Trooper Kevin Conner, officials announced Tuesday. District Attorney Jon David, who serves in Brunswick, Bladen and Columbus counties, will hold a press conference at noon to provide more information on the arrest. WECT reports Chauncey Askew, 18, is the second suspect but it�s unclear what his role was in the shooting. Conner was shot Wednesday around 12:15 a.m. while conducting a traffic stop on U.S. 701 near Sellers Town Road in Columbus County. The driver of a pickup truck, later identified as Raheem Davis, 20, of Chadbourn pulled over onto the shoulder after a traffic stop was initiated for a speeding violation. When Conner made his approach to the vehicle, the driver fired several shots, hitting Conner in the head and torso, authorities said. Conner tried to give a description of the suspect vehicle to a bystander who called 911. Conner died from his injuries on the way to a local hospital, Baker said. Conner is survived by a wife and two children. Davis fled the scene following the shooting but was later apprehended, officials said. Prosecutors say they�ll seek the death penalty for one of two men charged in the fatal shooting of a Highway Patrol trooper during a traffic stop last month. The District Attorney�s Office said in a statement that a grand jury indicted 18-year-old Chauncey Askew on a first-degree murder charge Wednesday in the shooting death of Trooper Kevin Conner. District Attorney Jon David says his office intends to seek the death penalty against Askew. Conner was a native of Bladen County and graduated from Bladenboro High School. He and his family resided in the Williams Township area south of Whiteville. Authorities say Conner was shot early Oct. 17 after stopping a pickup on a rural highway. Twenty-year-old Raheem Cole Dashanell Davis was arrested hours after the shooting and charged with first-degree murder. Askew was arrested days later in South Carolina. David says his office will make a charging determination on Davis later. The mother of the first suspect charged in the “cold-blooded” murder of Trooper Kevin Conner last month tipped off investigators about the name of the second suspect, an unsealed search warrant revealed on Wednesday. TABOR CITY, N.C. (WECT) - A strong law enforcement presence and dozens of family members watched as Chauncy Askew entered a courtroom Friday wearing a bulletproof vest. The judge approved District Attorney Jon David’s request to seek the death penalty in his case. Askew, 18, is charged with first-degree murder for his role in the shooting death of State Trooper Kevin Conner. He was arrested in late October without incident in Loris, S.C., after a manhunt. Askew and Raheem Davis are accused of gunning down Conner in mid-October during a traffic stop for a speeding violation on US 701 near Sellers Town Road in Columbus County. Conner died after being taken to a local hospital. David claimed in court that Askew was the one driving the stolen vehicle and was responsible for pulling the trigger, firing a bullet that ultimately killed Conner. Askew’s attorney, however, says there is no evidence to back that claim. “Seeking the death penalty for my son is wrong until they find that my son did it - but I don’t think my son did that,” Gowans said. Askew's attorney said his client is incompetent to stand trial, only scoring a 52 on an IQ test earlier this week and scoring a 56 in 2015. He said he was hoping to get the rule 24 hearing continued, but the judge denied his request. Ultimately, the judge agreed this is a capital case saying there are aggravated factors. The judge asked the capital defenders office be called to get Askew a second attorney. According to David, a grand jury indicted Davis on Wednesday for accessory after the fact to first-degree murder. His first-degree murder charge has been dropped. An unsealed search warrant revealed Davis' mother tipped off investigators about Askew’s involvement in the shooting. Considering those IQ evaluations, this is extremely unlikely to be a death case for long. "It�s just such a senseless act,� Kathy Richardson of Whiteville would tell me after the solemn service. And then I thought of Sept. 23, 1997, and that traffic stop along Interstate 95, just north of N.C. 24, where Tilmon Charles Golphin Jr. and his brother Kevin Salvador Golphin mercilessly took the lives of Lloyd �Ed� Lowry, a veteran highway patrolman of 22 years, and Cumberland County Sheriff�s Office deputy David Hathcock. COLUMBUS COUNTY, NC (WECT) - A grand jury in Columbus County has indicted Chauncey Askew for first degree murder in the shooting death of Jerome Parrott on June 21, 2016. According to the District Attorney�s Office, Parrott was killed in the Green Acres community. Thursday, a judge ordered Askew be held without bond and appointed an attorney to represent him. This case is not eligible for the death penalty because Askew was under 18 at the time of this shooting. Askew, is also charged with first-degree murder for his role in the shooting death of State Trooper Kevin Conner. The judge has previously ruled that Trooper Conner�s case does qualify for the imposition of the death penalty and the state is proceeding forward.